After amassing a monstrous 5,000,000+ streams in just a week, London prodigy Dave continues his ascent towards super-stardom by landing his first ever UK No.1 with new single ‘Funky Friday (Feat. Fredo)’ after knocking Calvin Harris & Sam Smith off the top spot. 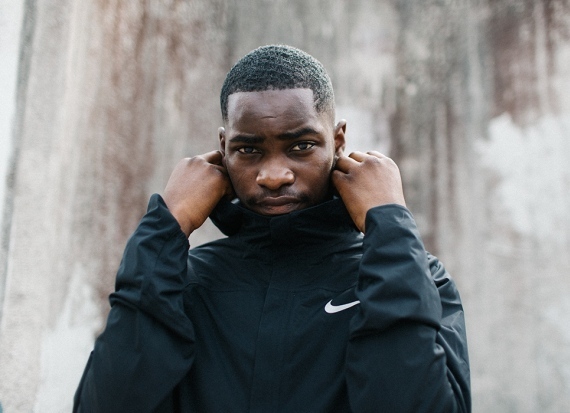 The news makes Dave only the second artist to debut a track at No.1 in the UK this year after US superstar Drake and the first British artist to do so since Sam Smith in 2017. Watch the Dave and Nathan James Tettey-directed video for ‘Funky Friday’. The first taste of new music from Dave in eight months, the independently-released single skyrocketed to the top of the Apple Music and Spotify charts upon release, while creeping up the iTunes chart steadily over the course of the week where it’s currently sits at No.6. With a swell of support from critics and fans alike, not to mention support from high-profile fans such as Drake, Stormzy, Skepta and Ed Sheeran, the tracks’ lightning ascent up the charts is a testament to the eager anticipation for the phenomenal talent’s hugely-anticipated debut album, currently scheduled for early next year. 2018 has already been a landmark year for the gifted storyteller and lyricist. From becoming the youngest ever winner of an Ivor Novello Award for Best Contemporary Song for his politically charged single ‘Question Time’, to winning AIM’s Most Played New Independent Artist award, and appearing on the cover of i-D Magazine, Dave has bounced from strength-to-strength, cementing his status as, not just one of the UK’s hottest up-and-coming talents, but as one of the most important and necessary young voices in music today. Over 126 million views on YouTube and in excess of 300 million streams across streaming platforms to date are only further testament to Dave’s burgeoning reputation. After releasing his sophomore EP ‘Game Over’ at the tail end of 2017, as well as selling out two nights at London’s KOKO in under two minutes and picking up ‘Best Newcomer’ at the MOBO Awards, Dave kicked off the first half of this year with sold out tours across Australia and the United States as well as picking up a nomination in ‘British Breakthrough Act’ at this year’s Brit Awards; the youngest nominee at this year’s awards and the only nominee in his category yet to release their debut album. Today sees London's most talked about new artist, Dave, release brand new track 'Tequila'. Dave's newest cut demonstrates his impressive versatility, displaying a distinctively more laid back feel to the fast-paced offering of previous release 100M's. Produced by long time collaborators Fraser T Smith and 169, 'Tequila' is inspired by Dave's first visit to Los Angeles, where he wrote the track and subsequently returned to film the Dir. 'Tequila' follows recent releases '100M's', 'Revenge' and the J Hus collaboration 'Samantha', the video for which has racked up over 21 million views in only a few short months. 'Tequila' is available to purchase & stream on all major platforms now. The 19 year old superstar in the making has made quite a name for himself so far in 2017 having completed a joint North American tour with AJ Tracey, made an appearance on Drake's 'More Life' compilation, delivered two hotly anticipated sets at SXSW and wrapped up a sold out UK tour, not to mention showcasing his undeniable talents to the masses playing 'Picture Me' and 'Wanna Know' on Later… with Jools Holland recently. 'Tequila' comes hot on the heels of show-stopping festival performances at Wireless & Glastonbury. Dave has already left a lasting mark on the UK urban scene after the independent release of his debut 'Six Paths' EP last September, which debuted at #6 on iTunes album chart & #1 on iTunes Hip-Hop chart. Created alongside production partner 169 & Grammy Award winning producer Fraser T Smith, the six track EP perfectly showcases the intelligent wordplay and social commentary that Dave has become synonymous for over the last 18 months. Today sees hotly-tipped South Londoner Dave release new track 'Revenge' with a nostalgic Super Mario themed visual - you can watch it HERE . The track was produced by Dave alongside long-time collaborator Fraser T Smith while the infectious visuals were created by Dir. LX, assisted with illustrations from Tyler Remike who has created all Dave's artwork to date.